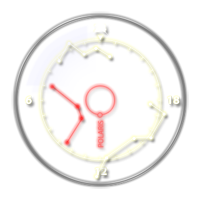 Released the 1.0.0.0 version of PolarFinder for Windows. Released the 2.2 version of PolarFinder. The last version has a new layout and some bug-fixes. In this version I have inserted an ADS (advertising). The eventual gain will be invested for the Mac IOs and Windows Seven publishing account. Released the first Linux versione beta 1.0.0. Download. Today someone from Frankenberg (DE) has donated to me 1 euro for PolarFinder. After 3.000 android installation he was the first! Thank you. The polaris position is calculated with a better accuracy. It has been changed the constant value of RA Polaris. Thanks to Jean-Paul RICHARD. His help was invaluable to me. The Ursa Major and Cassiopeia's color are changed. In fact the Ursa Major and Cassiopeia are in the real position different by the red lines and circle that shows the inverted position of Polaris and the Aterism in Octans (same way in which you can see them in the polar-scope). Improved layout for low resolutions platforms like htc tattoo. Has been fixed a seekbar problem in the preferences activity. Now are more fluid in movement and has been solved a previous switching problem in android 1.6. Released the first android version 1.0.